All colors should envy navy. 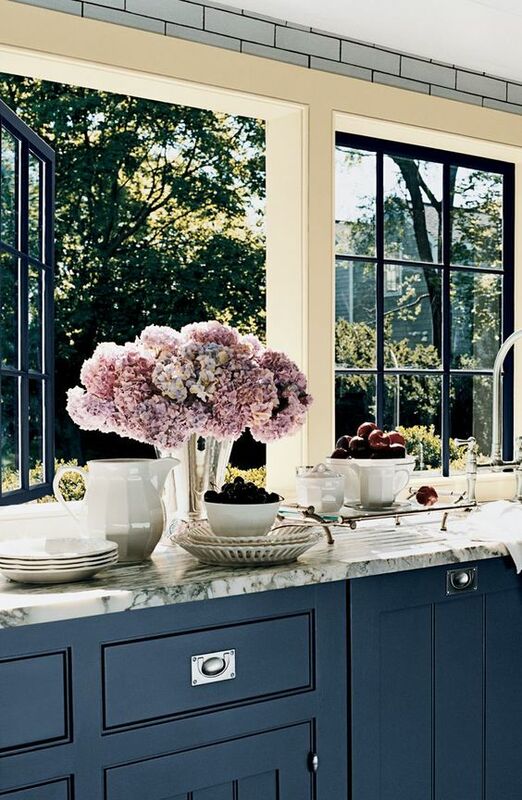 It is timeless, formal, casual, uniform and laid-back, all in one. 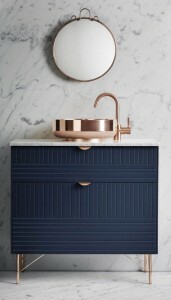 One would struggle to find a more flexible hue. 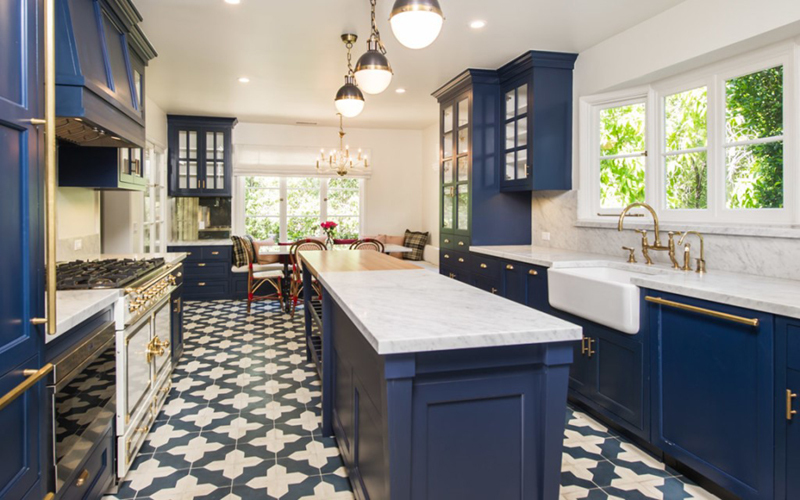 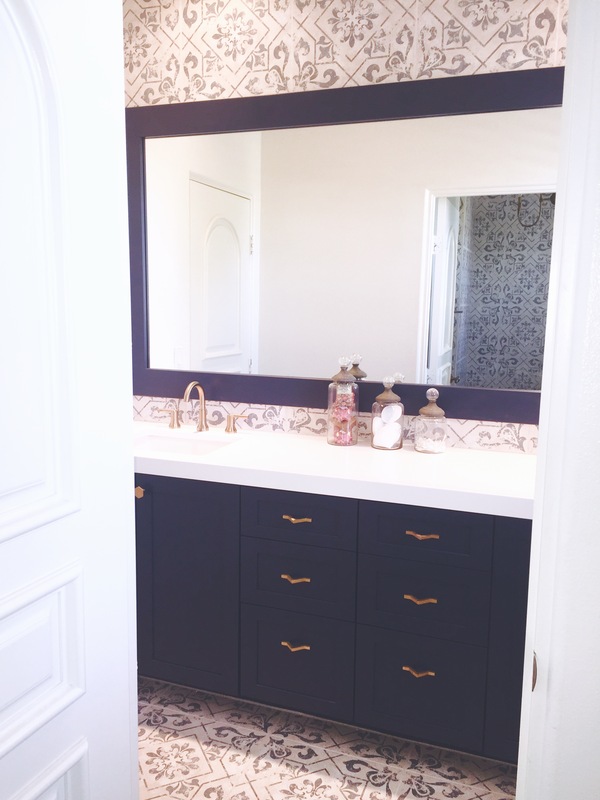 While the Jigsaw Designers are long time fans of this vast color, right now we can’t get enough of the navy cabinet. 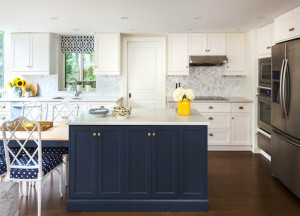 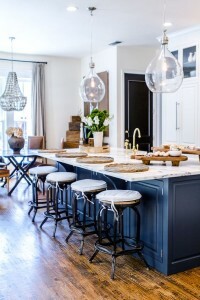 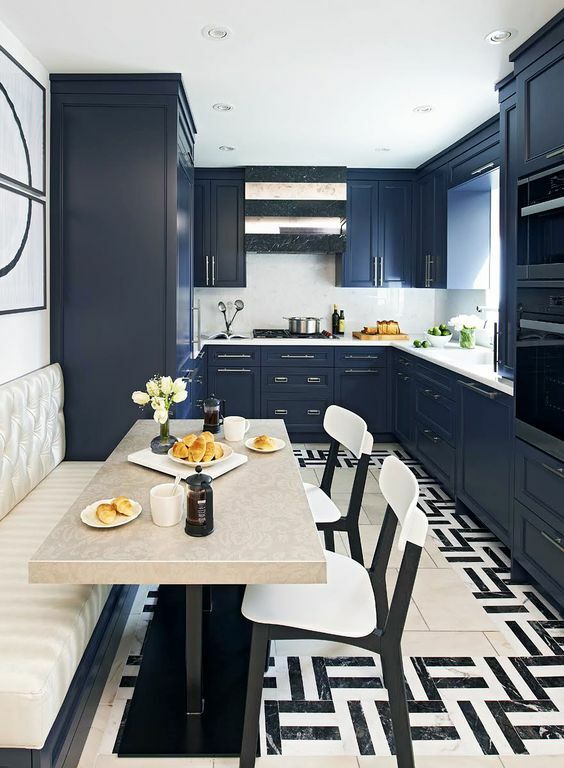 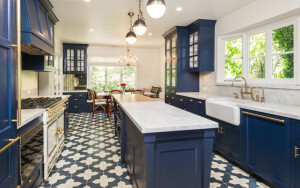 White and Grey cabinets still stand safe and sublime, however, navy wows. 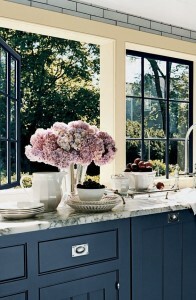 Whether in the bath or the kitchen this pop of rich pigment is clean and refreshing and always in fashion. Navy pairs beautifully with marble and rose gold to create a fresh modern look with a touch of femininity. While paired more traditionally with yellow gold, it is a tried and true combination. Truly sophisticated when coupled with a neutral color palette, but combined with black and white, the visual is stunning. Well suited for any style, the navy cabinet can blend into a myriad of looks – mid-century, traditional, modern, and industrial to name a few. 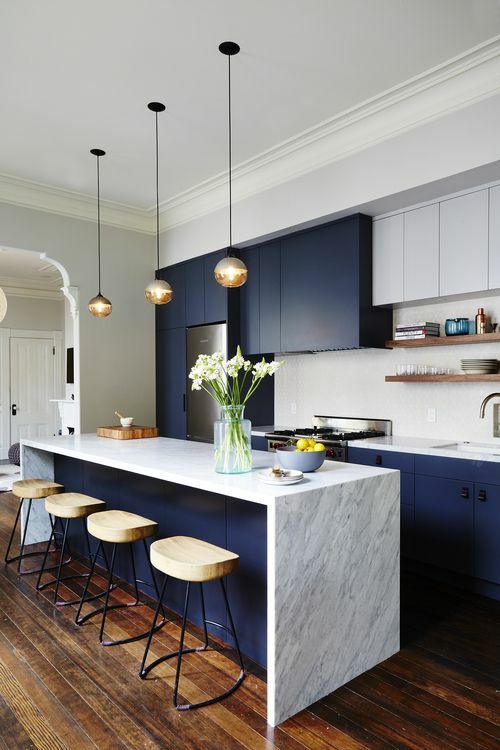 Colors we are loving right now are Pratt and Lambert Postal Blue for it’s hint of teal, and Old Navy by Benjamin Moore for it’s purity. 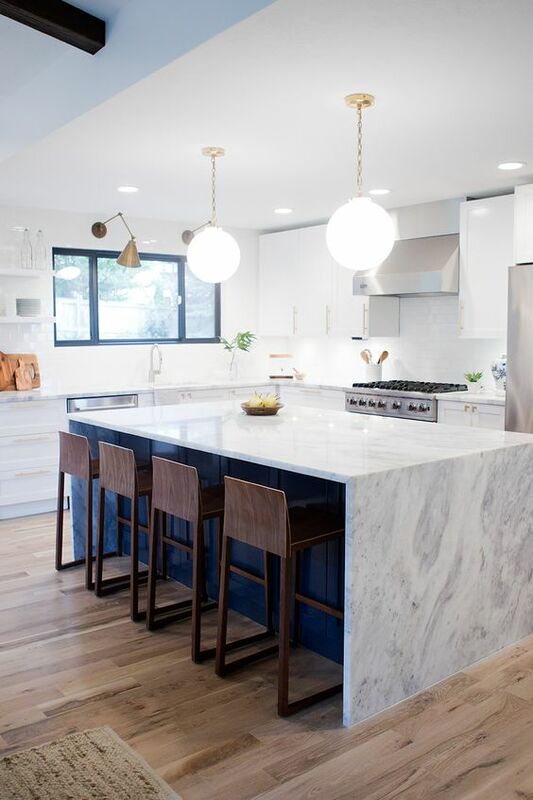 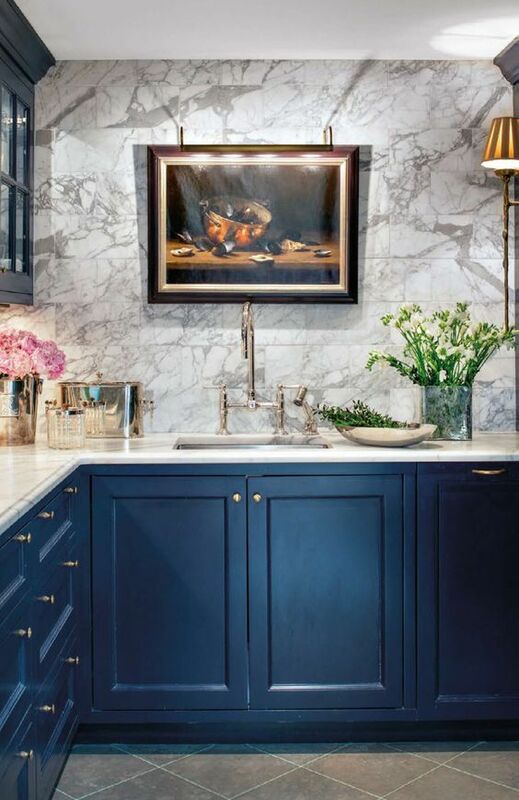 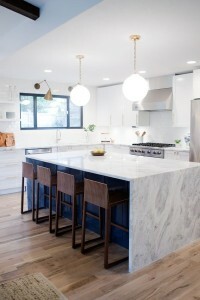 Must have trend right now: oversized waterfall island in marble with navy cabinets peeking out from underneath. 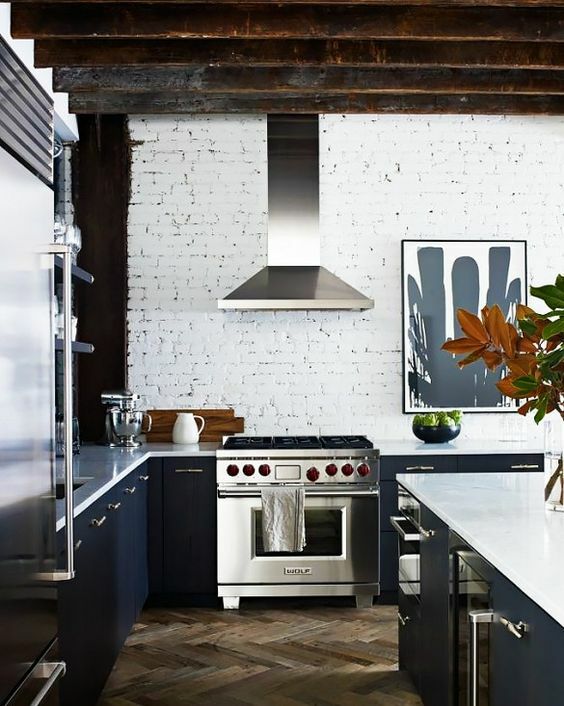 This look is forward and sleek. 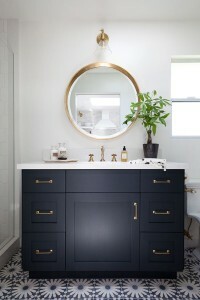 For more information on the navy cabinet trend or questions about images or products in this blog, please comment below or reach a Jigsaw Designer through the contact page at www.jigsawdesigngroup.com. 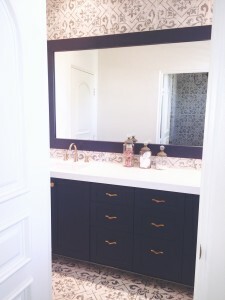 Be sure to subscribe to the blog and like us on Facebook and follow us on Google+.